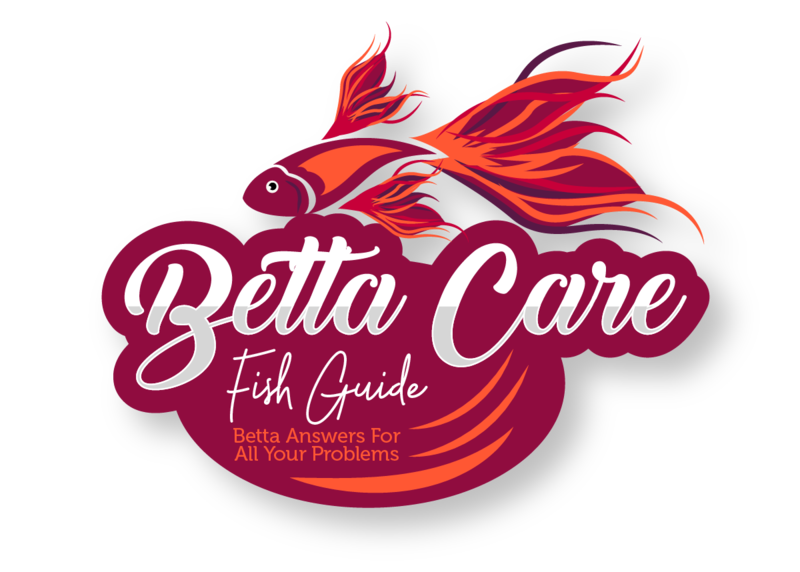 If you love your betta but you think he may need some company then it can be hard to figure out which fish will go well in the tank. Well, Corydora catfish and bettas can make great companions when certain conditions are matched! Keep reading to find out what those conditions are and how you can make it work. 4 How Important Are The Water Conditions For Corydora Catfish? 11 Want To Know About Other Great Tank Mates? If you’re going to keep corydora catfish and bettas together, then you need to make sure your betta won’t be aggressive. If you know that your betta has an aggressive temperament there’s no fish that can live with him. However, if your betta is peaceful then here’s everything you need to know to keep cory’s with bettas. If you’re a betta lover then you know all you need to know about bettas. However, you may not know much about corydoras. If you want to give your corydoras the best chance possible of living happily then here is some information that will come in handy. Corydoras are mostly found in South America and there are many different species to choose from. They live in slow-moving water and rivers that are heavily planted and have a lot of food on the substrate. However, all corydoras can live with bettas, so you don’t need to worry too much about the different types. Corydora catfish come in a range of different colors and patterns. But this isn’t going to affect their temperament in any way. Most of the time the coloration will be brown, gray or black. Don’t be surprised if you notice other colors on your corydoras though. And you can even buy albino corydoras as well! If you’re going to add Corydora catfish to your tank, then you have to make sure the water conditions are good for them. While they are hardy fish, if the temperature or pH is too high or low it could stress them out over time. Corydoras will need a pH between 7.0-7.8. 7.0 is the perfect pH level for bettas. So as long as you can keep the water as close to 7.0 then your corydoras and bettas will be fine. The only trouble you’ll find is that bettas can survive in slightly acidic environments but not alkaline ones. So try to keep your pH at 7.0. Next up is the water temperature. A bettas ideal temperature is 78°F and a corydoras is between 70-78°F. Once again you’re going to be at one end of the spectrum. Keep your water temperature as close to 78°F but don’t worry too much if it goes a couple of degrees either way. The most important thing is to keep the tank as stable as possible. If you have a pH or temperature that’s a little high or low, that’s still better than having a tank that’s constantly fluctuating. How Important Are The Water Conditions For Corydora Catfish? If you plan on keeping corydora catfish then you need to make sure that the water conditions are pristine. Especially the nitrate levels. High levels of nitrate are going to cause your corydoras a lot of stress which can make them more prone to disease. You should be testing your tanks nitrate levels regularly to make sure that they are 0ppm. Also, you should try to keep the substrate as undisturbed as possible. You will need to vacuum it frequently but you should do so in a way that doesn’t disturb the substrate too much. If you kick up all the sand or gravel, not only will it stress all your fish out, but it will also releasing rotting food and faeces back into your tank. This will increase the amount of bacteria and potentially cause your Cory and betta to be susceptible to a whole range of diseases. Other than this corydoras are extremely hardy fish. And if you follow the instructions above then they should be healthy and happy for a long time! When it comes to decorating your tank you should fill it with lots of live plants. This will make the tank feel more natural and corydoras and bettas absolutely love them as well! On top of live plants you should also consider adding decorations like driftwood and rocks. The key is to create a lot of hiding places for your fish. Both your betta and your corydoras will want to get away from time to time so if you have hiding places for them you enable this. This is really important for all fish and one thing that is often overlooked. And not only is it going to provide hiding placers, it’s also going to give your fish some new places to explore! If you’re interested in breeding your corydoras then you should add wide leaf plants. This will give them plenty of room for spawning. And you should always make sure that your aquarium has a lid on it. If you didn’t know already your betta will often try to jump out of the tank. In the wild they jump from pond to pond looking for new food, territory and mates. But as well as this your corydora will also try jumping out of the tank. (Although probably not on purpose). It’s not uncommon for corydoras to swim to the surface of the tank for food, but if they swim too fast they can literally clear the water altogether. Before adding bettas or corydoras to your tank make sure that you’ve covered the top completely first. Lastly, make sure you’ve picked a suitable substrate for your corydora. You should use sand or small gravel. If you plan on using gravel then make sure that it’s not too rough or sharp otherwise it’s going to damage your corydoras barbels. Here’s handy substrate guide you can use to help you make a decision. Every fishkeeper whether their a novice or a veteran know that bettas don’t have the greatest temperament. When finding fish that make suitable tank mates you have to take this into consideration. And this is where Corydoras really come into their own. Corydoras are bottom dwellers whereas bettas like to stay near the top and middle of your tank. So you don’t have to worry too much about your betta attacking your corydoras, because the chances are he won’t feel threatened by them. While they’re keeping themselves to themselves at the bottom of the tank, your betta will be near the top. The only time this can change is when your Corydora swims up for food. As previously mentioned this can often result in them breaking the surface of the water, and if you don’t have a lid on your tank they can even jump out of the tank by mistake. Corydoras are peaceful fish that won’t ever be aggressive towards your betta. They are very sociable, however, and this is especially true when they’re with their own kind. If you keep Corydoras in groups of 6 or more you’ll notice them schooling and foraging the bottom of your tank together. This is great for them and if you keep them in a school they will be extremely happy. This doesn’t mean you can’t keep them on their own, but for the maximum happiness of your fish, you should keep them in groups. Even when one of them needs a break, even if they’re not directly with the group they’ll always be within a couple of inches of them! When you’re watching your corydoras you’ll notice most of the time they are foraging at the bottom of the tank. They are often looking for any food they can eat. This will include food that your betta missed, as well as any plant matter as well as any small insects in the tank. They can use barbels and mouth to dig up parts of the substrate and eating the food underneath. However, this doesn’t mean that you never need to feed them. The chances are they won’t get enough sustenance just from scavenging alone. 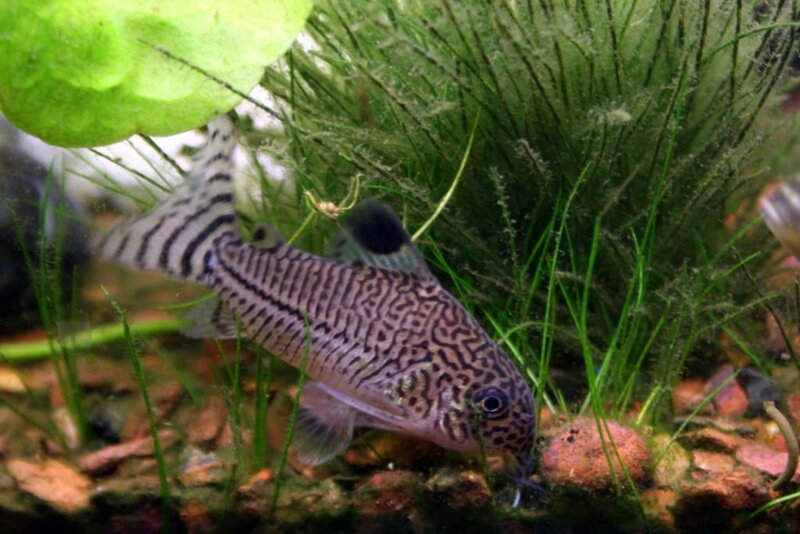 Corydora catfish are omnivores so you can feed them a whole range of different food. You can use live, frozen, flakes and pellets for both types of fish, but make sure there’s enough meat for your betta. Also to make sure your corydoras are definitely getting enough food you should also use sinking wafers. These are specifically designed for bottom feeders and will quickly drop to the bottom of the tank when they’re added. When feeding your Corydoras and betta you only need to feed them a couple of times a day. And it should never last more than 2 minutes. Any longer than this and you risk overfeeding them! Make sure when you drop food in for your betta, you’re also dropping a sinking wafer in for your corydoras. Your betta should be too distracted by the other food in the tank, giving your Corydoras a chance to eat as well. Also, make sure you’re buying high-quality food. While low-quality food is cheaper, it’s not going to be packed with essential nutrients and may become costly when your fish inevitably become sick. You’ll be pleased to know that Corydoras don’t grow too big, so no matter what size tank you have, they’ll probably fit. Their size ranges from 1 inch to 2.5 inches depending on the type of corydora that you purchase. And normally they are a lot bigger around their head then they are around their tail. And like most fish, they are going to live for 5 years when well looked after. This is the same amount of time bettas live for as well. So adding Corydora catfish is going to be quite the commitment to your tank. But this shouldn’t bother you because they are great tank mates for bettas. The time when corydora catfish are most likely to die is when they’re first introduced to the tank. This is when they are more susceptible to shock from the new water conditions of your tank. However, with the right care, after this phase, they will live for a long time. Before you’re ready to get some corydoras and introduce them to your betta, make sure you’re picking the best ones. If you pick unhealthy, sick or weak Corydoras, it could result in your whole tank becoming infested with disease. 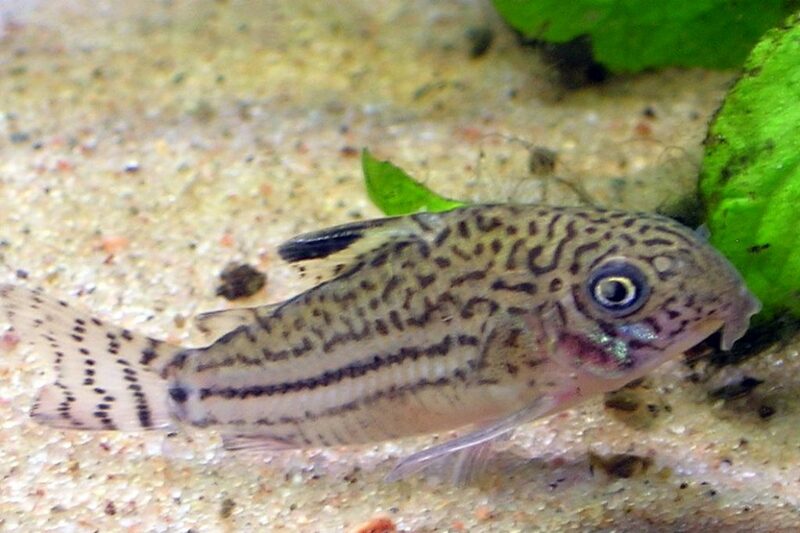 You should avoid Corydoras that aren’t moving a lot, seem sick or lethargic. 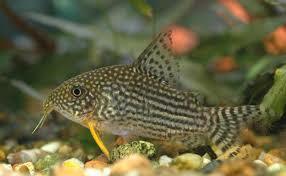 Instead, look for Corydoras that are swimming around and appear active and healthy. Also, make sure you aren’t buying any Corydoras that are injured. Pay special attention to their barbels, eyes, and fins. If you notice a barbel or eye is missing/damaged or a fin is damaged then choose another Corydora. And of course, if there are other sick fish in the tank then you should avoid buying fish from that tank. Even if the one you choose seems fin, it could still be harboring illness. That’s why it’s so important to add fish to a quarantine tank before introducing them to your main tank. As you can see Corydora catfish and bettas make great tank mates. While bettas will stay at the top of your tank, for the most part, Corydoras will stick to the bottom. Here are some of the main points to remember when introducing Corydoras to bettas. Corydoras need a pH between 7.0-7.8 and bettas need a pH of 7. Most importantly make sure the nitrate levels in your tank stay at 0ppm. Corydoras are particularly vulnerable to disease when nitrate levels become high. You can keep Corydoras on their own but they will be much happier in groups. When feeding your betta make sure you also drop sinking wafers into your tank for your Corydoras. While they will eat a lot of leftover food off the bottom of the tank, that still won’t be enough nutrients for them. You should also make sure your betta and Corydoras are getting a mix of plants and meat as they’re both omnivores. A sandy substrate is best for Corydoras as they are less likely to damage their barbels. Corydoras can grow up to 2.5 inches in size and live for up to 5 years. Want To Know About Other Great Tank Mates? Glass Catfish – Another species of catfish and another great choice. Glass catfish are extremely peaceful fish. And on top of that they are also amazing. Their skin is completely transparent so you can see right through them. When you put them in groups of 6 or more they come out of their shells and look fantastic in any tank. You can read more about them in this article. Rasboras – Rasboras are the perfect tank mates for bettas. Because they live in the same habitat in the wild. If you want a super interesting fish that are easy to look after and get along with your betta than Rasboras are the one! Redtail Shark – You may think that having two aggressive fish in the same tank can never work. Well, that’s not entirely true. Find out why you can keep Redtail Sharks with bettas and the key rules you need to follow to make it work! I know this website is for betta fish but I need help! Can I have a corydora catfish and tetra? Neon Tetras will be fine with corydora catfish, you just need to make sure you’re giving them enough space. Ideally, a 20-gallon tank would do, but if you don’t have a lot of tetras you could probably get away with a 15 gallon.